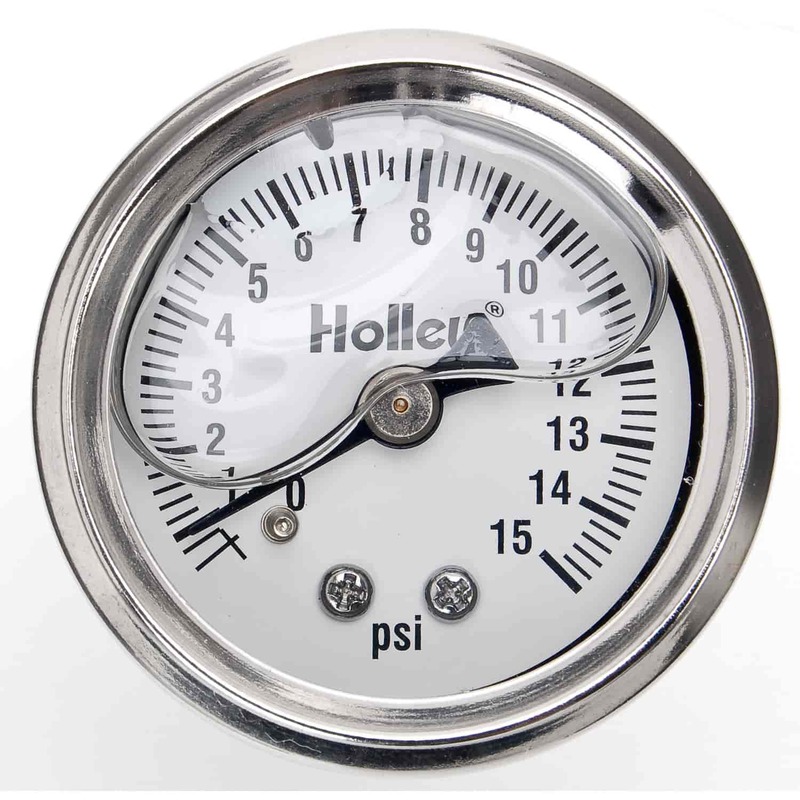 Holley Fuel Pressure Gauges are available in 1-1/2" or 2" diameter, white faced, with chromed steel cases. Designed to mount directly to a Holley fuel line, fuel block or pressure regulator. Available in multiple PSI ranges and also in liquid filled for high vibration applications! 26-504 is rated 2.0 out of 5 by 1. Rated 2 out of 5 by CTgoat from Nice Show Quality Appearance but Doesn't last. 1st one leaked the oil out within 30 days. The 2nd lasted about 2 1/2 years and now won't move. That's too bad because it matches by Holley 4 Barrel Holley Carb Set-up so nicely.